(NaturalNews) The calcium craze has created quite a bit of confusion in the natural health community, with folks rushing to buy calcium supplements in the hopes of building strong bones and preventing osteoporosis. But loading up on just calcium alone may not provide the benefits you expect, and it could actually be toxic without the proper intake of the mineral magnesium. Perhaps more important than calcium in building strong bones, magnesium works as an enzymatic cofactor to incorporate calcium and other necessary vitamins and minerals into bones. It also aids in over 300 other biochemical reactions throughout the body, including protein synthesis, muscle and nerve function, blood glucose regulation and energy production. As you may already know, healthy bones require adequate levels of calcium alongside both vitamin D and magnesium. Without magnesium, neither vitamin D nor calcium can be used by the body, as this powerful mineral converts these nutrients into usable forms. Magnesium is also responsible for activating a special hormone that pulls calcium from the blood and soft tissues, and incorporates it directly into bones. "Magnesium helps your body to use vitamins and other minerals, such as calcium, phosphorus, sodium, potassium, and vitamin D," explains the Vitamin D Council. "Also, magnesium is important in helping vitamin D to maintain calcium in the body and is essential for bone health." As far as vitamin D is concerned, magnesium is absolutely essential for converting vitamin D3, a common form of vitamin D sold as a supplement, into usable form. Taking just vitamin D3 alone is not enough to unlock its bone-building potential, and could end up leading its users to falsely believe they are benefiting from supplementation. "Magnesium is a co-factor to the enzymes that metabolize vitamin D," writes Lindsay Wilson for Health Hotline. "In other words, magnesium is required to convert vitamin D3 into its active form so it can carry out its important functions in the body, including calcium absorption ... Magnesium also activates a hormone that helps pull calcium from the blood and soft tissues into the bones." The breakdown of old bone cells and buildup of new ones is also dependent upon magnesium. Osteoblasts, which facilitate the synthesis and mineralization of bone tissue, as well as osteoclasts, which allow for the continuous breakdown and rebuilding of the bones, both require adequate amounts of magnesium in order to function. 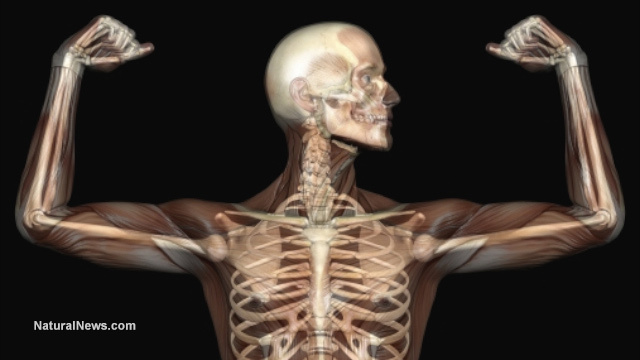 "Experimental Mg (magnesium) deficiency in animal models has resulted in impaired bone growth, osteopenia, and increased skeletal fragility," reads a 1999 study on the effects of magnesium deficiency that was published in the journal Magnesium Research. "Our findings demonstrate a Mg-deficiency induced uncoupling of bone formation and bone resorption resulting in a loss of bone mass." Magnesium is, of course, also required for the proper function of many other systems of the body. The heart and nervous system both require magnesium for maintaining proper blood sugar metabolism and protection of the brain against overstimulation from triggers like glutamate, which can cause cell damage and death. "Because it is involved in so many biochemical processes, chronically low intakes of magnesium increase the risk of illness over time," adds Wilson. "And according to the National Institutes of Health, most of us are not getting optimal amounts of this important mineral ... in part due to a decrease in magnesium content in foods because of industrial farming practices, which deplete magnesium levels in the soil."